Some wise words from Canada's “Jeopardy” host. 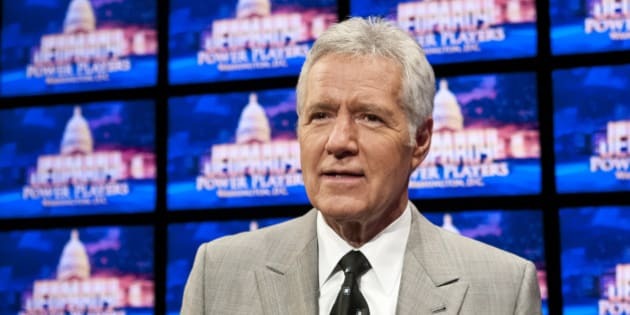 “Jeopardy” host Alex Trebek has an important message to kids about stupid people. On Tuesday, the Canadian TV personality stopped by Ottawa’s Roberta Bondar Public School to help host a geography quiz. While there, one student asked him if he liked his job as “Jeopardy” host, which he’s been doing for over 30 years. "The most important thing is you finding something you’re good at and something you enjoy doing." Trebek is currently in Ottawa attending several events. Earlier this week, he was named the honourary president of the Royal Canadian Geographic Society and on Thursday, he will be presented a Key to the City of Ottawa by Mayor Jim Watson.